he Asia Society presented a major exhibition of spectacular works of art from the influential Golden Age of Persian art in Iran. The first comprehensive international exhibition of the exquisite arts produced in sixteenth-century Safavid Iran, Hunt for Paradise: Court Arts of Iran, 1501-1576, brought together rarely seen objects from more than 30 public and private collections from around the world. 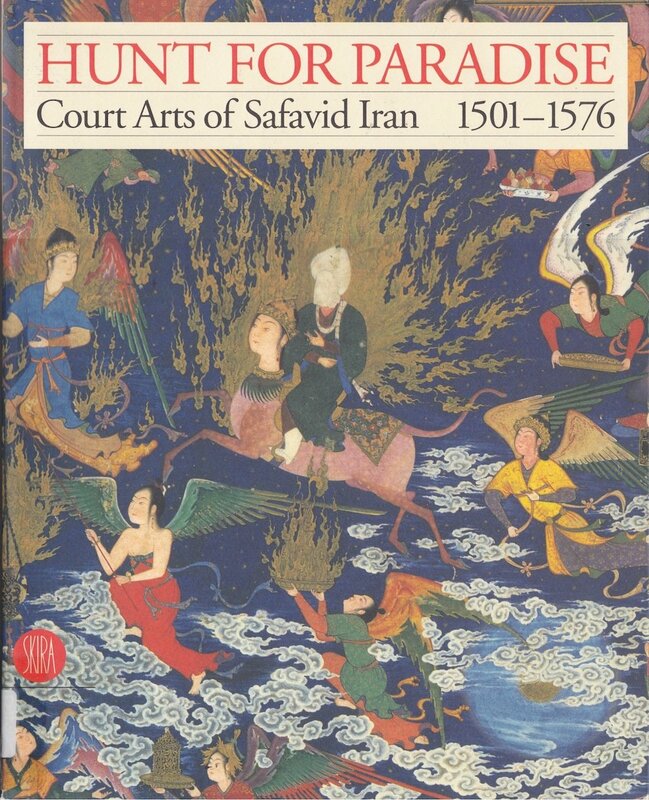 Focusing on one of the greatest periods of Persian culture, Hunt for Paradise presents some of the finest examples of art produced in the early reign of the Safavid dynasty (1501-1786). The exhibition comprised more than 75 objects – including miniature paintings and arts of the book, ceramics, carpets, textiles and metalwork—and will be on view at Asia Society and Museum from October 16, 2003 through January 18, 2004. The exhibition draws its title from notions of paradise and its image as a garden, the journey of the faithful to a heavenly world and the effort by the Safavid court to evoke a secular parallel equivalent through the depiction of the garden. In Islamic art, the depiction of hunting—which played a major role in Safavid court life and was a favorite pastime of the monarchy – as a metaphor for the lover’s pursuit of the beloved and the soul’s search for the Divine. In Persian poetry, the hunt appears in many guises, both literal and mystical, involving both the killing of animals with weapons and the metaphor of the snare or trap. The term “hunting carpet” originally referred to Persian carpets from the 15th-17th century depicting hunting scenes or animals in combat all within an intricately designed floral background. A unique feature of the exhibition was a touch-screen manuscript programme developed in Sweden, which allowed visitors to ‘virtually’ examine all of the pages of Jalal o Jamal, one of the important complete manuscripts in the exhibition. Jalal o Jamal (Majesty and Beauty) is an allegorical love poem with Sufi undertones composed in Herat by the poet known as Amin, during the reign of the Timurid Shahrukh (1405-1447). The present handwritten manuscript is written in a fine nasta’liq by the hand of Sultan ‘Ali Qa’ini in 1502 and lavishly illustrated with 34 miniatures. While the manuscript was displayed open to one page, the touch-screen desk allowed viewers ‘virtually’ to turn, view and enlarge additional pages and miniatures, as well as read commentary on each of the miniatures. Hunt for Paradise was co-organised by Asia Society and Museo Poldi Pezzoli in Milan. The exhibition was curated by Dr. Sheila Canby, Curator of the Department of Oriental Antiquities, The British Museum. A curatorial advisory committee included other leading specialists in the field: textile expert Jon Thompson; noted scholar Ralph Pinder-Wilson; and William Robinson, Islamic historian and metalwork specialist.